I have been waiting all summer for the opportunity to do some hand dyeing. The weather has been ideal, with hot sunny days and nights. 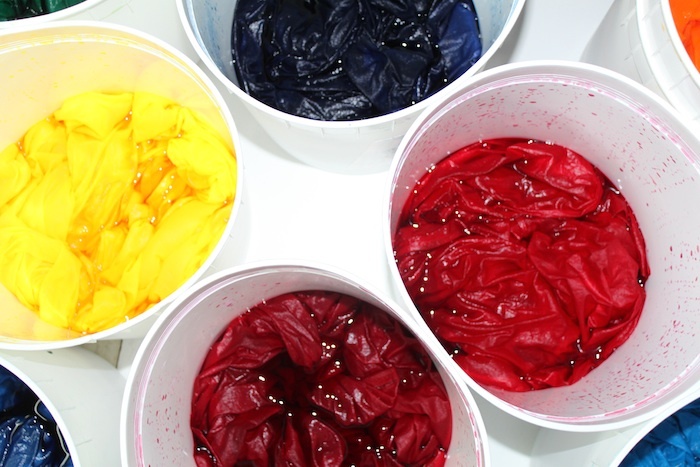 Yesterday I started to dye 30 metres of pfd fabric. I wanted larger pieces and decided to dye 2 meter lengths. 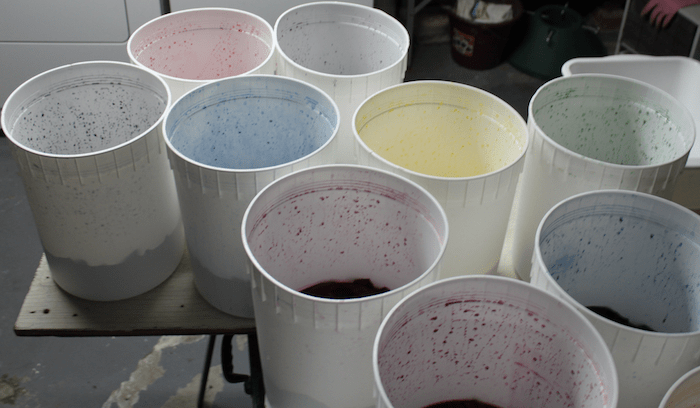 First I dyed red, fuchsia, bright yellow, golden yellow, black, turquoise, cerulean blue, and royal blue. Next I mixed orange, purple, and green. 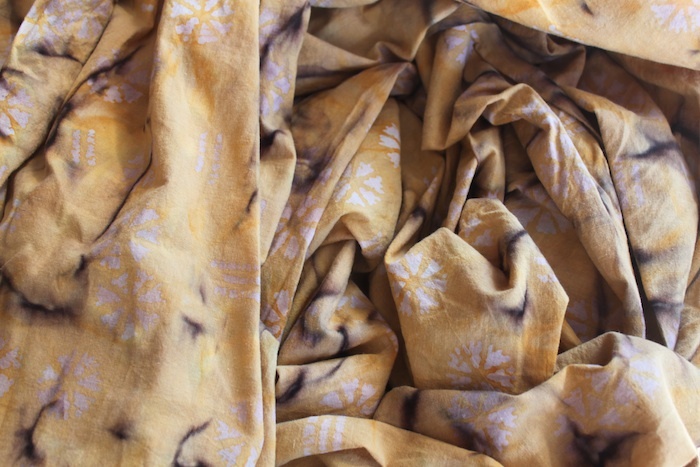 I also experimented with dyeing layers – parfait layers is how Ann Johnston describes layering 3 fabrics one on top of the other each with its own colour. The results are always fun to see. My husband brought me his new t-shirt that was stained and asked if I could dye it. 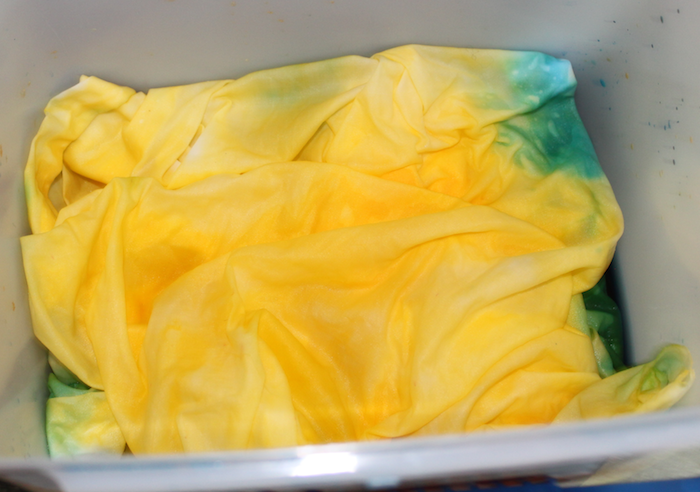 I am curious to see the results of this tiedyeing experiment. I purchased this batik from the discount table even though I didn’t really like it. I thought it was really ugly actually, but I knew that I could improve it by overdyeing it. I split the piece into 2 long lengths (there was lots left on the bolt – no one else liked it!) 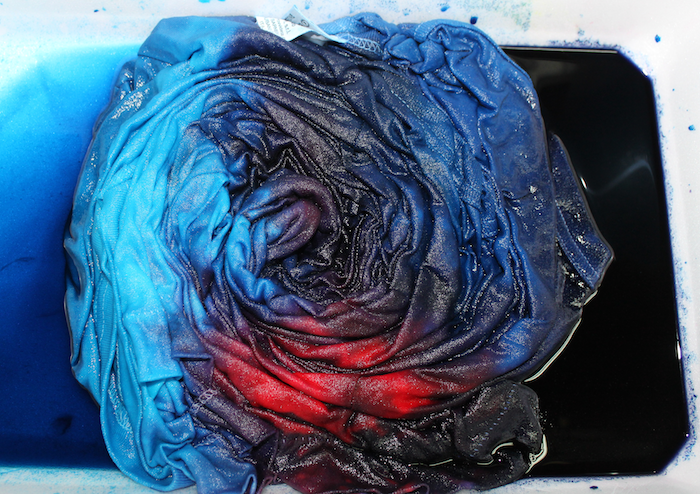 and overdyed one piece with red and another piece blue. Worse case, it gets used for backing. I will be rinsing and ironing these out over the next week. 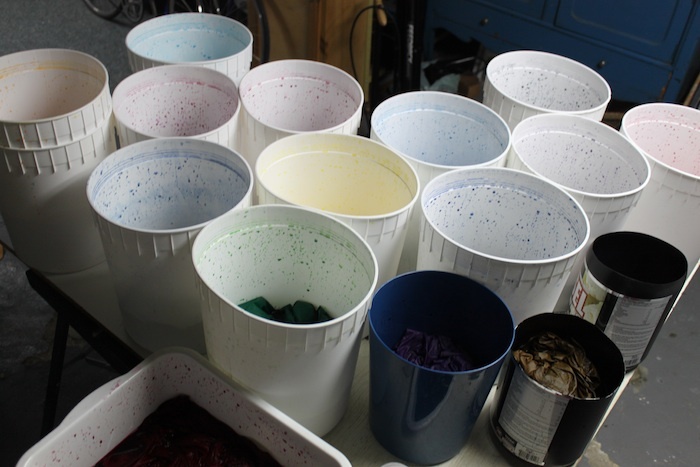 I am looking forward to seeing how these overdyed pieces and the t-shirt turned out! Hope your Labour Day was fun!